Metabolic processes involved in the immune system's inflammatory processes. A new discovery suggests that manipulating this mechanism could essentially "switch-off" inflammation. This could lead researchers to find an entirely new anti-inflammatory drug that could treat auto-immune disorders. 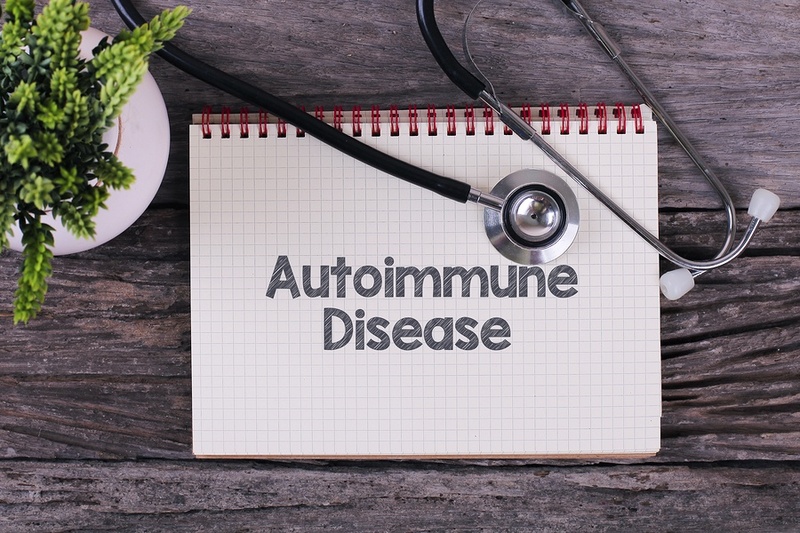 Autoimmune conditions are basically your "dirty genes" getting turned on by environmental insults - viruses, bacterium, food allergies, fungi, toxic mold or other noxious chemicals. Certainly stress plays a leading role in these conditions. It begins in your gut. Toxic mold exposure can create severe intestinal dysbiosis where all the pathogens play at your expense. We test for TGF Beta 1 or transformative growth factor and VEGF vascular endothelial growth factor as toxic mold markers. The normal range for TGF Beta 1 is between 300 and 2000. Our patients come in at 15K, 20K, 25K and yesterday one patient in a moldy house was above 40,000 or 40K. Toxic mold impacts your health. We have expertise, testing, treatment and legit referrals to certified mold inspectors. Once TGF Beta 1 is turned on, TREG cells in the gut are overwhelmed with dysbiosis, zonulin goes up and pro-inflammatory messengers (interleukins) secrete inflammatory chemicals that effect every organ system. VEGF marker can determine how much tissue damage is taking place. An inflammation flare up can result in a number of diseases, from simple allergies to gastrointestinal disorders. It is even suspected to be connected to cancer and depression. Immunosuppressive drugs can have negative impacts and stifle the immune system making a patient susceptible to other infections. All chronic inflammatory disease is linked to environmental exposures which overwhelm the body's ability to detoxify. We can help. We are your Detox Experts. The research team from Trinity College Dublin found that ""itaconate" a molecule derived from glucose may act as an off-switch from macrophages, one of the immune cells responsible for inflammatory responses." We use natural anti-inflammatories and I.V. ozone to reduce inflammatory responses in the body. I start correcting leaky gut issues with Good Gut Detox, Good Gut Repair and Good Gut Immune. I respackle the intestinal walls with Xymogen's IgG 26 DF and HistDao. These are part of the Good Gut program to reverse autoimmune conditions in 21 days. Call me or email me to find out more about how you can reverse your autoimmune condition. Naturopathic medicine has colchicine formulas and natural corticosteroids to control symptom flares. Serious acute cases need hospitalization as left untreated high serum ferritin levels, low NK cells can cause organ failure and death. I see autoimmune patients with dysregulated genes and systemic inflammatory flares. I can't change your genes, but I can change how your genes respond to your internal environment. I consider your intestinal microbiome and your genomics. Changing your gut bacteria can down or upregulate greater systemic networks all over the body. Together, we can turn your "dirty genes" off.